Young people today get easily bored! If they are offered information and knowledge in the traditional way, they aren’t interested in it. "Gaming" is the way they interact in their everyday activities. But can we actually make a game for the career exploration process? Joining an epic quest to achieve something larger-than-life. HOW COULD GAMIFICATION BE IMPLEMENTED THROUGH CAREER GUIDANCE? In an evolving global workplace, it is increasingly important for graduates, school-leavers, unemployed and other groups of exploring their careers, to understand the real job market, realize their relevant skills, and be able to create their own career progression paths. In order to do so, they often turn to career counselors asking for training in self-exploration and job search techniques, such as CV writing, interview preparation, employability skills and personal branding. However, this process is daunting and confusing for many job seekers and it requires a lot of hard work and determination. This is where gamification can make a difference. Imagine a job seeker using a fun and engaging activity while learning to draft a competitive CV or preparing for an interview by playing a game; doing tasks monitored by a counselor miles away; participating in the career exploration process by choosing activities according to individual needs and progress. Research has shown that the use of gamification is beneficial to engaged learning as it is active, increases motivation and satisfaction, accommodates a variety of learning styles, reinforces mastery, and provides interactive decision making context (Ansted, 2016; Egenfeldt-Nielsen, 2005). In addition, gamification has the potential to foster curiosity and problem-solving, especially when working with complex rules and overcoming multiple obstacles. The students’ skill sets are increased, as well as their sense of accomplishment and optimism (Faiella & Ricciardi, 2015). 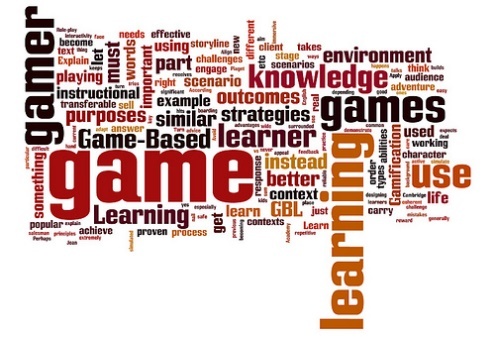 Gamification also lacks the negative impact from wrong or unjustified choices allowing failure and the opportunity to reframe mistakes as a crucial component of the learning process (Ansted, 2016). Furthermore, companies, universities, and non-profits are starting to see the potential in gamification in recruitment process to attract and retain employees, as well as in human resources development to improve staff and business performance (Roebuck, 2012). A great initiative in implementing gamification in career counseling is the MaTHiSiS (Managing Affective-learning THrough Intelligent atoms and Smart InteractionS), a H2020 project funded by the European Commission. MaTHiSiS is an educational platform providing every type of learner, in every type of setting, on the device they have at their disposal, with a bespoke, individualised learning experience in diverse use cases such as Education, Industrial Training and Career Guidance, that is adapted to their personal requirements. It aims to train job seekers on writing their Europass CV, preparing their e-portfolio and getting ready to ace their job interviews.